This section lists the details of Praneet Bhatt playing role of 'Shakuni of Star Plus Mahabharata' He came in fame as the lovable character of Adi in Star One's Geet Hui Sabse Parayi and was last seen in Suvreen Guggal - Topper of the year as Jolly. Currently, he is seen in the epic Mahabharat as one of the most challenging character, Shakuni. 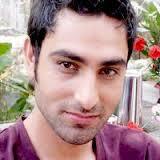 He was born on 26 September and has completed his education in Engineering and is very passionate about World Cinema. He stepped into Tellywood through The TV show 'Kitni Mast Hai Zindagi' and did many other shows too. Watch full details of Praneet Bhatt here.